NORAD: North Korean missile launch no threat to U.S.
You are at:Home»Uncategorized»NORAD: North Korean missile launch no threat to U.S. 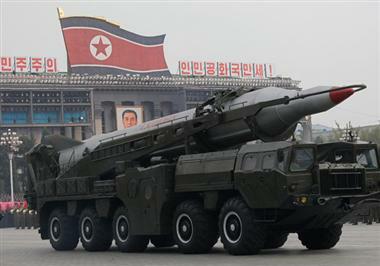 The missile launched by North Korea on Wednesday never posed a threat to the U.S., according to the North American Aerospace Defense Command. It appears the missile was able to put an object into orbit, Smith said. “At no time was the missile or the resultant debris a threat to North America,” she said. A spokesman for the National Security Council called North Korea’s missile launch a “provocative act” that defied United Nations Security Council resolutions.